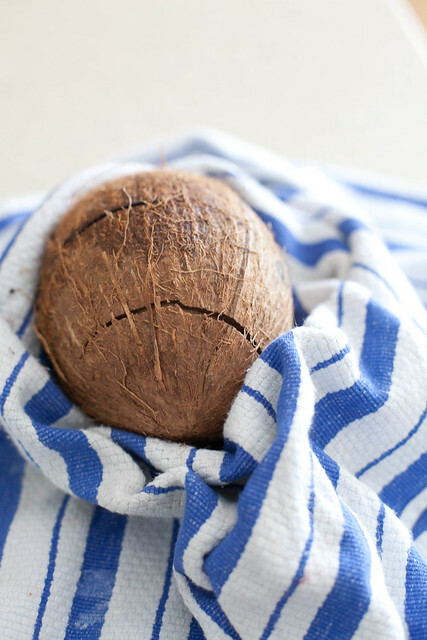 I’m not typically one to be intimidated in the kitchen, or to shy away from a challenge, but one thing that has long intimidated me is dealing with fresh coconut. 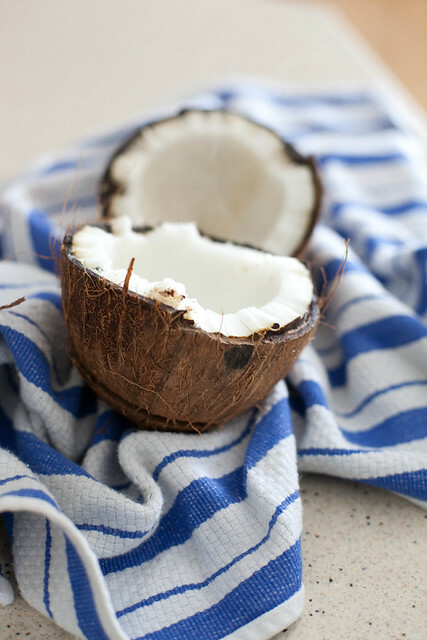 I’ve looked longingly at the gorgeous fresh coconut curls atop pretty cookies, cakes, pies and more in magazines and cookbooks and finally I decided enough was enough. It was time to figure this out. 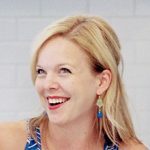 As with so many things, the biggest obstacle was getting over the mental hurdle of intimidation. Turns out, the whole process was pretty simple. 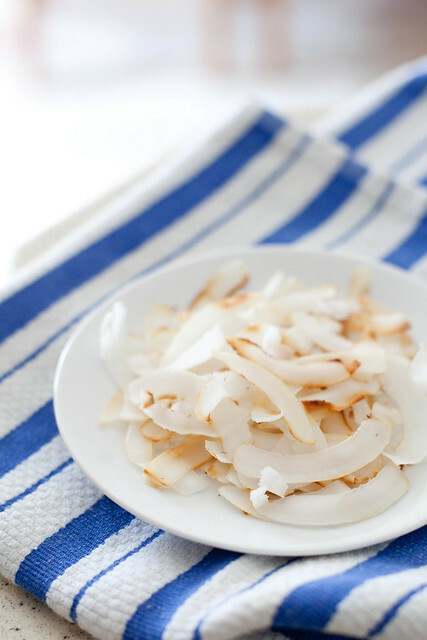 Certainly more involved than buying a package of shredded coconut but the results are so much more visually striking. 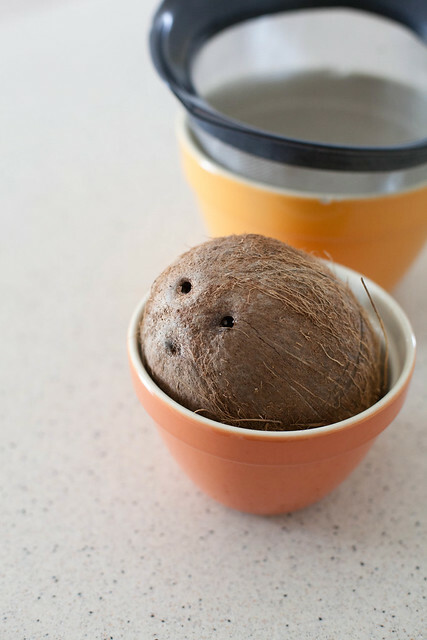 I know this will be my go-to choice for topping coconut flavored things from here on out. 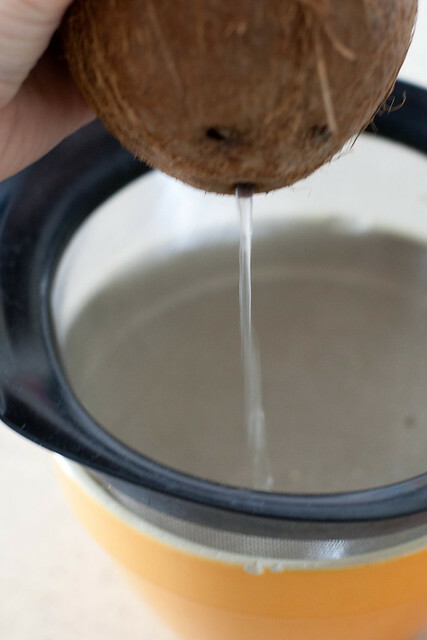 Pour the water/milk from the coconut through a fine strainer into a bowl or cup. Discard or save for a later use. 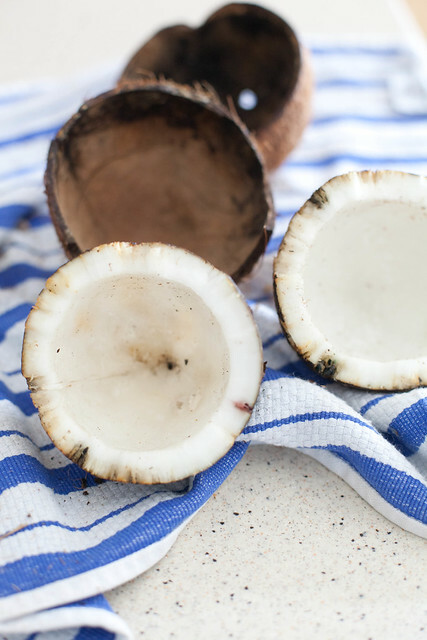 Place the coconut on a baking sheet and bake at 350˚ F until the shell is cracked in multiple places, about 30-35 minutes. Set aside until cool enough to handle. 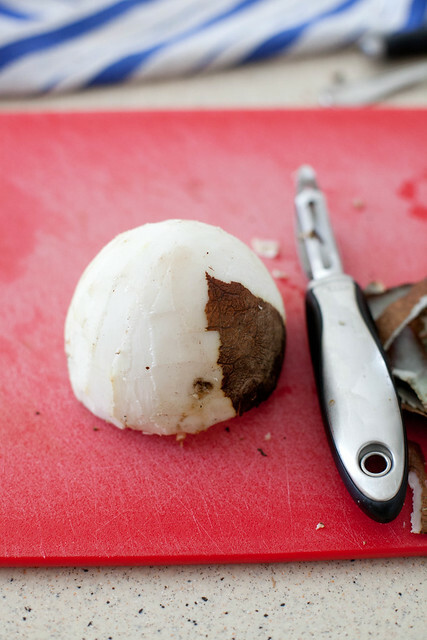 Use a vegetable peeler to remove the tough dark outer skin. 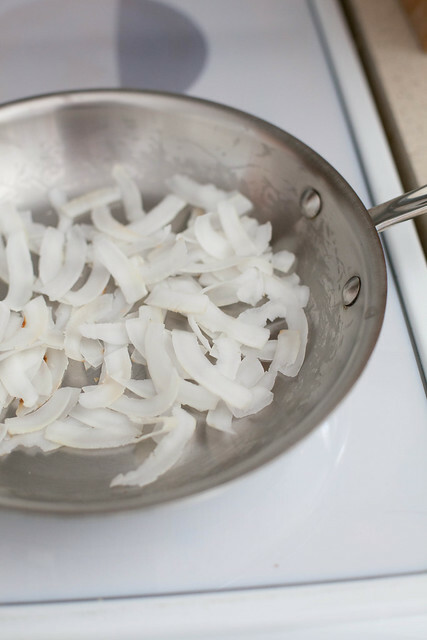 Rinse the coconut chunks and the vegetable peeler. 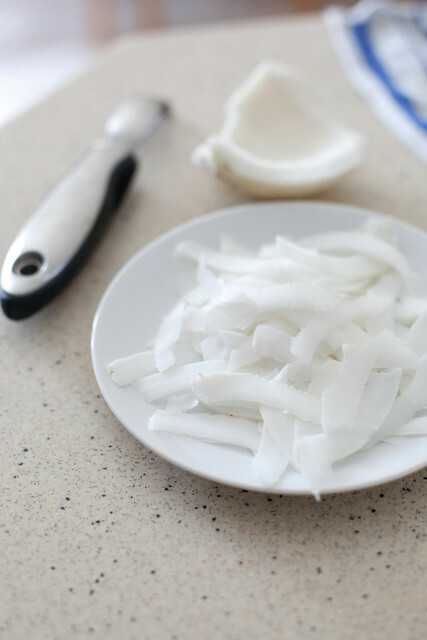 Peel along the broken edges of the coconut flesh to make long, thin curls of coconut.